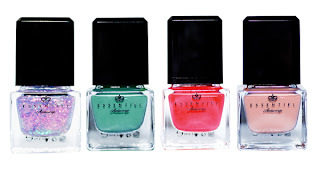 Unlimited addictions: Essentiel nail polishes! Time to pull out those skirts and dresses cause sunny weather is all we see for the next weeks. Yay! With that being said, it's also time to paint your nails in bright colors again! So I say YES to all the new collections nail polish brands release for spring :) What about you? 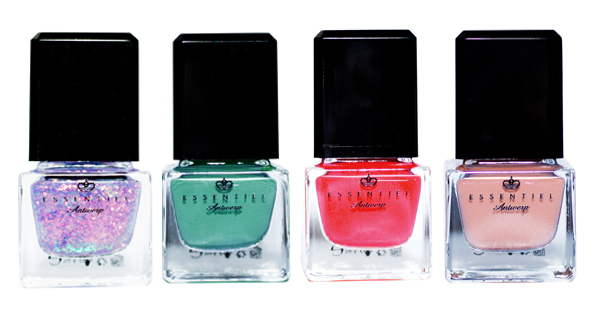 These nail polishes cost €11 and are available in Essentiel stores. What do think of these nail polishes?